The Evelin dress is a particular standout piece that can be worn to so many occasions ranging from fancy summer parties to outdoor weddings. The body skimming silhouette is defined by cascading godets, and is cut from semi-sheer silk chiffon that graduates from ivory white to a darker shade at the hem. 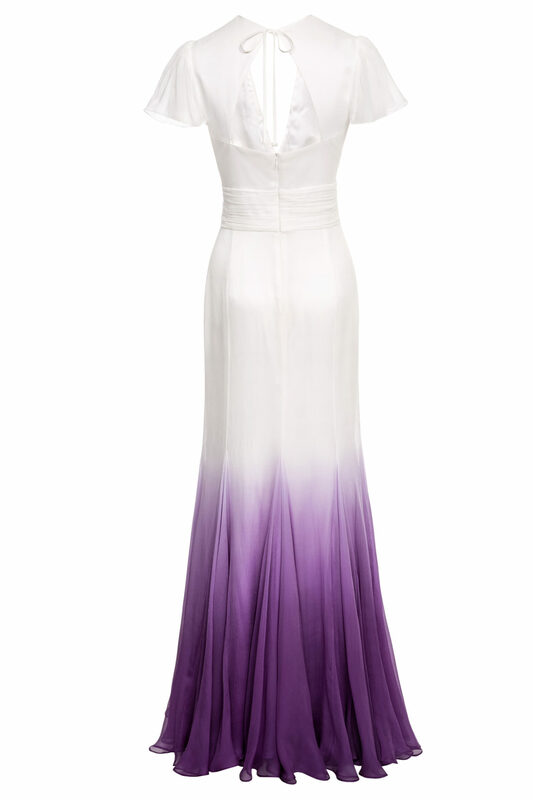 The dress has been carefully dip-dyed by hand, which gives each dress a unique shade and feeling. Two layers of smooth silk satin keep the dress opaque yet lightweight and luxurious to the touch. 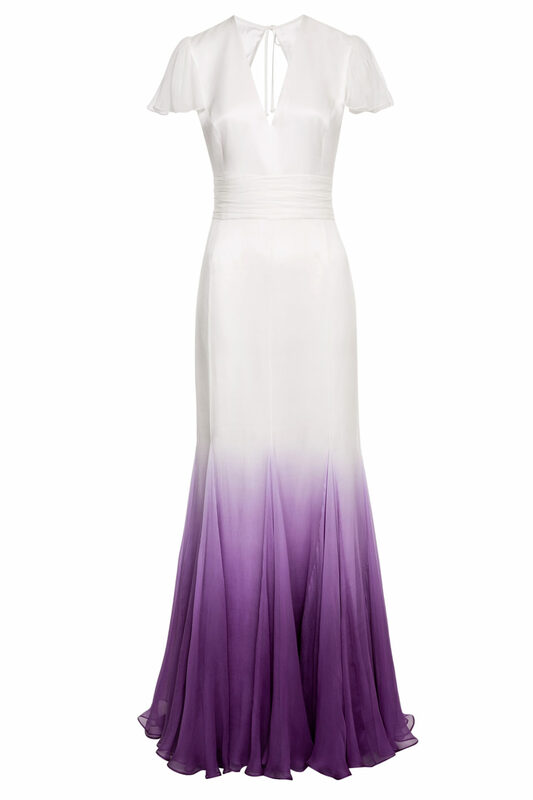 Styling tip: When worn as a wedding dress, a matching flower bouquet in purple shades emphasize the unique design of this gown.